There are 26 reviews of Ombre Rose L'Original. I have always loved this perfume. It starts as a powdery, floral woody thing. 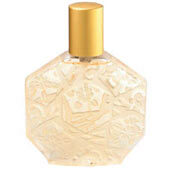 The notes that stand out for me are heliotrope, iris, musk, cedar, orris root, rose, and vanilla. Feminine, to the extreme. As the middle settles in, this begins to smell like lipstick. The base? More lipstick. I adore that, about Ombre Rose. Lasts for an eternity on my flesh. Ombre Rose my "summer of 1986" perfume. I haven't smelled Ombre Rose for years; I don't know if the current version has been reformulted; the 1980s version was a lovely, sweet, powdery, vanilla-floral summery perfume, almost identical to Houbigant's Lutece (if I tried one on each wrist, Lutece was a little lighter, and had an only-just noticeable citrus note). In most fragrances, pure perfume suits my skin best, but with Ombre Rose the original Eau De Cologne worked best on me: the pure perfume reacted very oddly, and the fragrance was completely taken over by aldehydic notes - I may as well have been wearing Chanel No 5. There was a beautiful range of bath and body products too (looking online, it seems that many of these are still available, but in completely different packaging, so I'm not sure if the products themselves are still the same). I remember Ombre Bleu and Ombre D'Or followed Ombre Rose (I think there have been yet more "Ombres" since); I have yet to try Ombre Bleu, but Ombre D'Or was a disappointingly nondescript white floral - but that's another review entirely. I really must try Ombre Rose again, even if only for old times sake; I'm hoping it hasn't been reformulated from the version I remember. I wore this in college in the 80s and considered it gorgeous, even after my boyfriend described it as "that foofy perfume you wear." I'm pretty sure he made that word up, but I think it fits. I don't do "foofy" any more and avoid powdery smells like the plague. But that doesn't take away from the qualities that made it gorgeous to me when it was more my style - the subtle scent of rose coming through a shadow. The L'Original was appended to the name when Brosseau managed to relaunch this scent after buying back the licenses to what had become a debased reformulation of the Francoise Caron created original (1981). Much is made of how this perfume was the precursor of the gourmand floral, its soft cuddliness inspiring a trend that dominated 1990s perfumery. Certainly, anyone coming new to it now, will be struck by how familiar it seems. But sheer quality raises it above the generic pool to hold its own among the greats. Ultimately, this is a soapy rose and for some whose teeth go straight on edge at that thought, it's wisest to try something else and not waste your time here. But for those who would persist, this is the nth degree of soap heaven: soft, clean, a haze of pink impressions. There are no hespiridic notes, nor much evolution: this goes straight into the sweet pink rose (a Turkish rose?) supported unobtrusively by other sweet floral notes like ylang. All reeling in a soapy mist of coumarin, vanilla, orris, musks: the effect like being in a pointillist painting. This is Ombre Rose's masterstroke: it gives a perfume rush akin to the most exciting creations while remaining supremely comforting, almost serene. Apparently buyers at its launch immediately began referring to it as 'their perfume' and till date the marketing on this one uses the slogan: 'My Ombre Rose'. Having come under its spell, I cannot disagree. I was disappointed by the longevity of the EDT and sought out the less-widely available (but reasonably priced) EDP which has worked like a dream. I imagine the pure parfum is even better. This is a light, powdery rose scent, using Turkish rose, the dry scent reminiscent of that used in Penhaligon’s classic men’s scent, Hammam Bouquet. Also a bit reminiscent of Caswell Massey’s retired Original Newport. It is non-intrusive, light and enveloping without dominance. One of the best rose scents for men I have found. I never liked this perfume nor the carbon copy Parfum de lune (I can't remember by whom). Ombre rose has a rather interesting composition. However, it seems like the aldehydes and musk notes overpower everything else. A friend of mine used to wear Ombre rose in the 80's. Even my mother wore it for a short while. The musty smell was the same on both ladies. It was so pervasive I could almost taste it. To add insult to injury, it's longevity was endless. Whenever someone wearing Ombre rose touched something in the house, the lingering odor would stick for days. To me, this fragrance was headache in a bottle. I am relieved no one close to me wear it anymore. OMBRE ROSE L`ORIGINAL 2.5 OZ /75 ML EAU DE PARFUM SPRAY , NIB , SEALED . 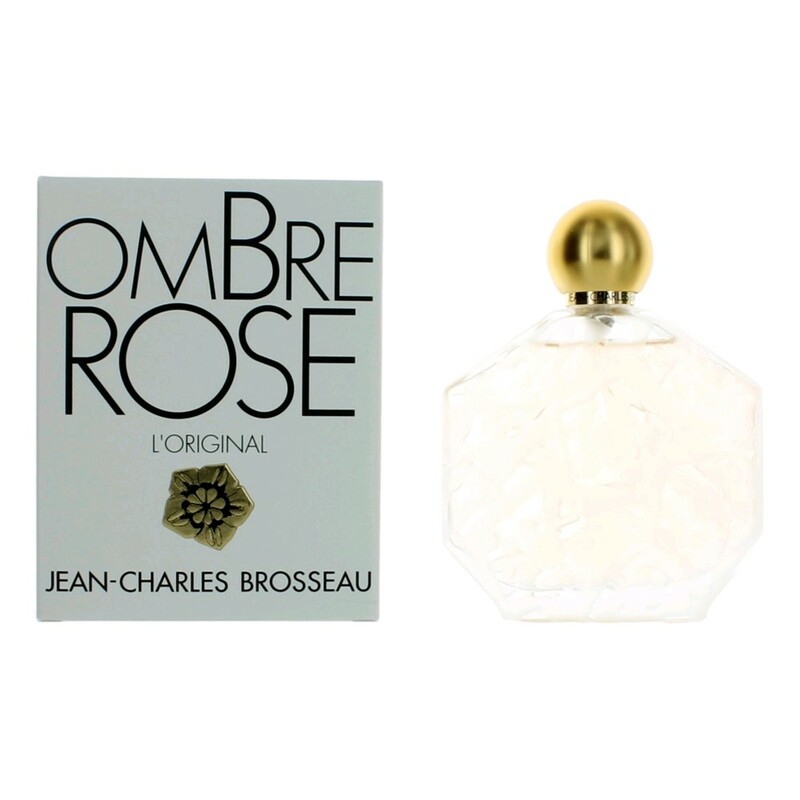 Jean-Charles Brosseau Ombre Rose L'Original Eau de Toilette Samples. Lot of 2. There are no member images of Ombre Rose L'Original yet. Why not be the first?